Discussion in 'Slot Machines' started by VegasMonkey, Jan 11, 2019. Caught my first major today. Niteshade, tringlomane, Funkhouser and 11 others like this. Texas Steph, MNSlotLover and general01 like this. Very nice! Congrats on the big total trip win! Do you ever try that 2 to 10 cent Cleo at Bellagio anymore? I’ve just about given up on it. Last May, I won $1,048 on a 40 cent bet on that machine. The bonus was garbage, I won like $12 total, but I had 5 sphinxes instead of 3 to get the bonus. That triggered some sort of multiplier after the bonus spins completed. 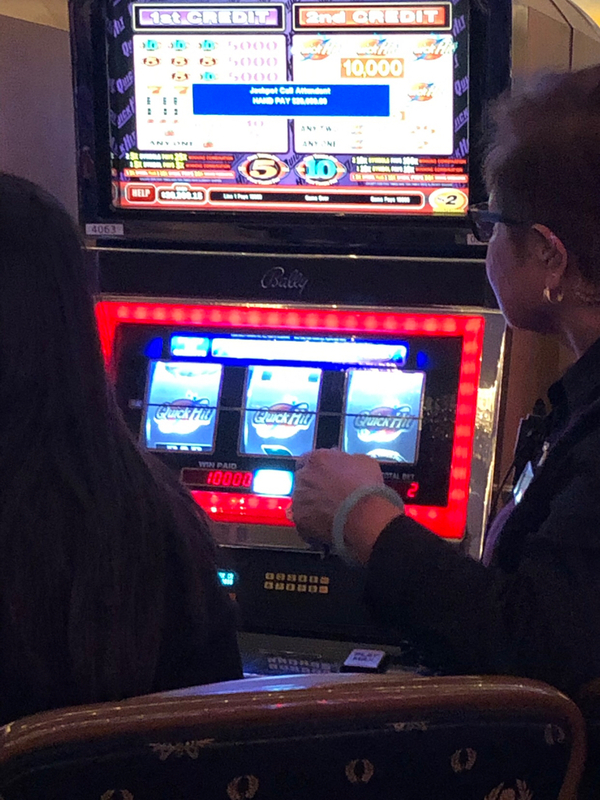 I still play a few spins each trip--they haven't moved the machine. tringlomane, Texas Steph, serenasea and 2 others like this. One of Ron’s slot goals is hitting 5 sphinxes on Cleo. Nice! Witnessed a half drunk twenty something put a $100 in Quick Hits $2 and pull this ten spins in last night. Sad Vegas since I was playing it 15 mins earlier. tringlomane, Texas Steph, TexasLady and 4 others like this. New video check it out! Thanks for being a supporter vegasfanatics! !